There is one simple reason why Dexter got the classic nickname of the BLADE! In his many years of gracing the stage, he has never come in off. 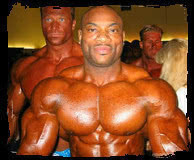 Getting in ripped condition is a combination of genetics, training and a proper nutritional plan. Here's a basic starter diet program when getting ready for a show or simply when you want to get ripped! 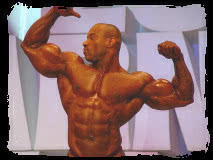 Dexter has built a fantastic well-balanced and proportioned body through his bodybuilding career that actually continues to this day. 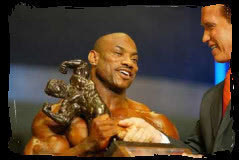 He has used many different types of training but he is known for minimal cardio - genetic freak! Below is a typical training split that Dexter would follow to sculpt his body to legendary status.